President Trump Friday issued a presidential permit to allow the Keystone XL pipeline project to move forward, a move that was necessary after a judge had filed an injunction against Trump's original act in 2017. The action does The project is less vulnerable to legal challenges from environmental groups by not delegating the actual pipeline authorization to the State Department that handles cross-border energy project licensing. Instead, issuing the authorization directly from the president gives a better chance of resisting judicial control. 7 order for the pipeline to move on. A court injunction was also placed on construction, while the state department revised its environmental audit for the project. Industry officials said Friday's permission is seeking to overcome the mandate to resume construction on the border. Friday's order also abolishes the original presidential provision in March 2017 and replaces it with Friday's presidential permit and authorizes TransCanada to "establish, connect, operate and maintain pipeline facilities at the international border in the United States and Canada." Mike Sommers, president and chief executive of the American Petroleum Institute, applauded the new order and appointed the president's "no-nonsense approach to allowing this important critical infrastructure project." "Keystone XL Pipeline has passed any environmental assessment completed over the last decade under both Obama and Trump administrations," Sommers added. "Every study has concluded that it can be built safely without any significant impact on the environment." 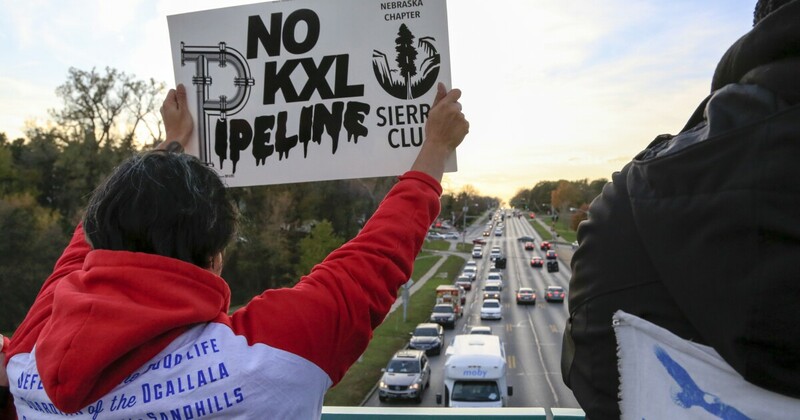 The Keystone XL project was delayed for seven years during the Obama administration and then rejected a permit for reasons of climate change and the 2015 Paris Climate Agreement. Trump turned Obama's decision shortly after being sworn as president, and approval of Keystone XL has become a prominent achievement of his first term. However, environmental groups have pushed it down into the courts. Environmentalists Sierra Club told Friday's announcement. "Courts have repeatedly rejected Trump's attempts to get this pipeline built, so now he is trying shamefully to circumvent our foundation's environmental legislation for the benefit of a foreign pipeline company," said Sierra Club CEO Michael Brune. "We will continue to pursue all avenues available to ensure that this pipeline is never built."